Thread: Post your favorite fish and/or tank pics here! 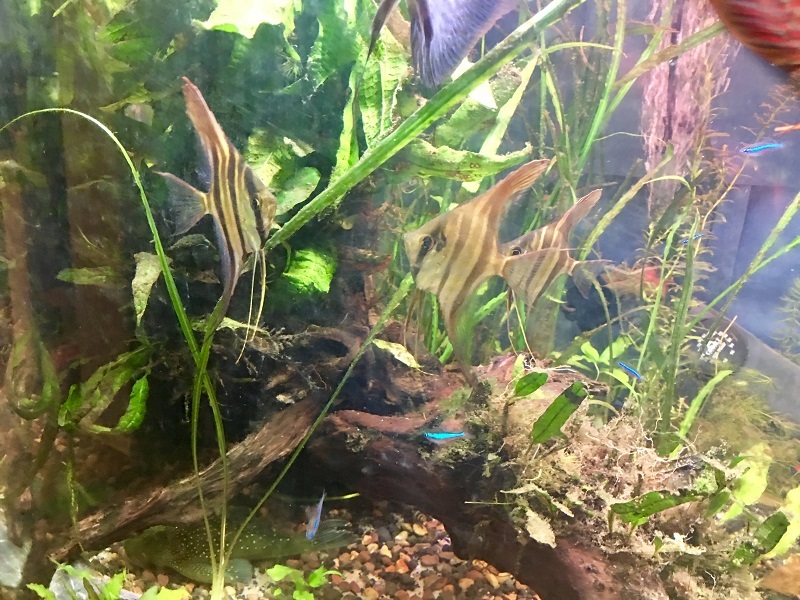 Re: Post your favorite fish and/or tank pics here! Nice photos Folks . Just keep them coming . Excellent Mellon Maddie and Brian your breeding material is spot on . It's actually Royal Ruby Red. Not my favorite, but a planted look I've been working on. I've got Liz's angels, a couple ancistrus from Adam, and a few corries in there. Unfortunately it's one of the tanks that has developed a slow drip leak, and I can't fill it more or else... One of the reasons I'm working on a rebuild. Liz, as long as you're happy with your Discus that's all that matters. I adore them. The 2 larger ones are proven males. I have to wait until the others grow up to see if I have females for them. Here's a cute on i just found. It's the last batch of this cross I will ever have. It's big brother in the tank next door checking out his much younger brothers and sisters. Last edited by LizStreithorst; 02-05-2019 at 10:08 PM. Nice photos Folks . Just keep them Brian your breeding material is spot on . Thank you...it takes years to come up with rounded shape...my first pair didn't have this characteristic and they are little football shape. You can post photos by clicking on the 3rd icon from the right on your posting bar(the icon with the green tree in a frame ). After you click it you choose the " upload photos via computer" option and it direct you to your tablet picture folder where you choose which photo to upload. And that's about it . Really great pic Liz and welcome back five star! My friend Liz encouraged me to post a pic of my Stendker Flachens I got as little babies several months ago. I am not a photographer so this isn't a great pic. Best I can do with little time for pic taking. 75 gal. bare bottom, 80% wc a day, 4-5 feedings. Temp 84-86. Anubias on wood. Two heaters, 3 xlg sponges, that's all. 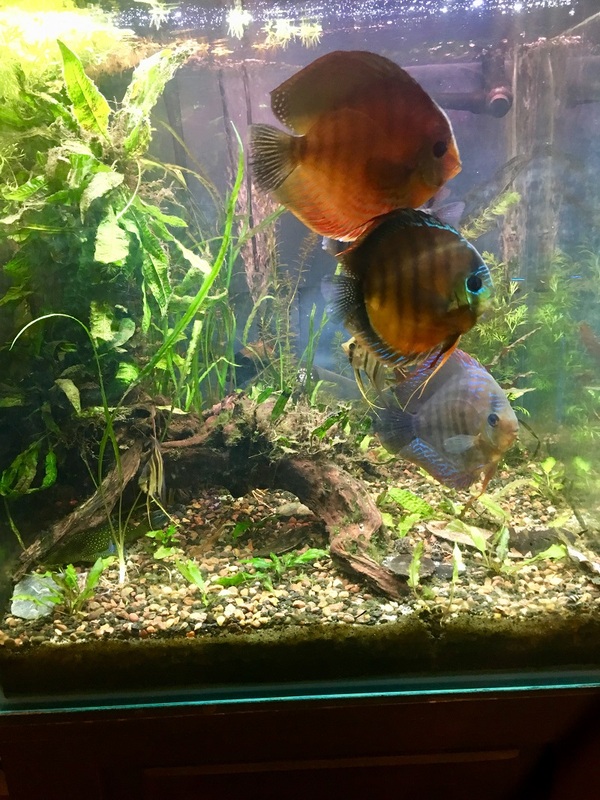 My favorite discus is the male, Alenquer F1 in this photo. Im also really loving my group of juvenile wild Altum Angels. They are putting on some size in this tank and will be moved to a 180 gallon.